April 11, 2019 - The Board approved a modification to the number of qualifiers for the OHSAA 7th and 8th Grade Track and Field State Championships, which will be held May 11 in Lancaster. Previously, the top 16 individuals on the state performance list qualified to the state championships. Now, the top 24 individuals will qualify. April 11, 2019 - Student-athletes participating in track and field at one of the OHSAA Member Junior High/Middle Schools are eligible to participate in the 2019 OHSAA 7th and 8th Grade State Track and Field Championships provided the student meets all OHSAA eligibility requirements and has achieved a qualifying time, distance or height at a FAT timed meet with a certified official verifying any qualifying field event marks through May 6, 2019. All OHSAA rules and regulations apply to this event. The deadline for the school's athletic administrator to submit the school's tournament participation form through their Junior High myOHSAA account was 11:59 PM on Saturday, March 23, 2019. All participants must meet OHSAA student-athlete eligibility requirements and be accompanied by their school’s Board approved coach who is certified by the Ohio Department of Education to coach in Ohio. Entry fees are $10 per student-athlete per event. Participating schools will be invoiced by the OHSAA after entries are confirmed. Please note that the OHSAA List of Eligible Teams includes only the OHSAA member schools that have declared their team's entry into the 2019 7th & 8th Grade State Championships if their athlete qualifies. Data will only be accepted from meets that use Fully Automatic Timing and have the field events certified by an OHSAA licensed official. The official does not need to run the event but must verify that all marks earned are accurate. The Hy-Tek Backup or a Hy-Tek Compatible export file must be returned by the meet director or the timing contractor. Meet hosts and timing contractors will be required to use the OHSAA MIddle School ID Number as the Hy-Tek Code when submittng Hy-Tek Backups and Hy-Tek Compatible export files. The top 24 qualifiers plus ties in each event are eligible to participate. The coach of these athletes must confirm their participation on baumspage.com. (See #2 Action Items below) Should a top 24 qualifier be unable to compete, the next athlete/relay on the Top 50 Performance List will be invited in the order of qualifying position on the performance list. The final date of qualifying is Monday, May 6th and all marks must be submitted before 10:00 PM on Monday, May 6th. The performance lists update automatically as each set of data is processed. Barring errors or incorrect data received, the list will be finalized and posted before 11:59 PM on Monday, May 6th. The purpose of this page is to provide a collection point for results and qualifying information for athlete participating in Track and Field as an OHSAA sport. The most important piece of information deals with the qualification marks being made around the state by these athletes. All running event marks must be from meets using Fully Automatic Timing! Field event marks must be certified by an OHSAA licensed official. The qualifying standards are determined by the OHSAA. The top 24 in each event plus ties will qualify for State. There will be three seated events: 100 Meters, 400 Meters, and Shot Put if there are qualifiers. Click OHSAA Middle School Seated Information and Performance List for information. Coaches and meet managers should e-mail results to support@baumspage.com ASAP! Click 2019 Top 50 Performance List for the current liist. Only athletes and relays from schools that declared their intent to participate through their Junior High myOHSAA account before March 23rd at midnight will be listed. Click OHSAA Team Entry Declaration and Submission of Meet Results for details. Meet backups/results from qualifying meets must be submitted by the meet host or timing contractor. Meet managers/timing contractors must use the OHSAA MS ID Number as Hy-Tek Codes in their database. The OHSAA ID must be used as the Hy-Tek Code when submitting Hy-Tek Backups or Hy-Tek Compatible exports if using other software. 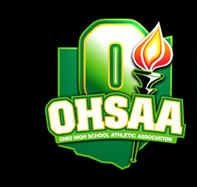 Click the following link OHSAA MS Hy-Tek Codes to download the file in Excel format. The list includes only OHSAA member schools that have reqistered for the tournament. Sort by district to filter list for your team or teams competing in meets that your are hosting. Meets using other entry services will need to use the OHSAA ID as the Hy-Tek Code. Sites using Hy-Tek should attach the Hy-Tek Backup after the meet is finished. Meets using other software will need to contact support@baumspage.com to determine details needed for submitting qualifying performances. The final date of qualifying is Monday, May 6th and all marks must be submitted before 10:00 PM on Monday, May 6th. Coaches will need to login to their baumspage account between 12:01 AM on Tuesday, May 7th and 10:00 AM on Wednesday, May 8th to declare their intent for each athlete or relay listed on the performance list. Click Baumspage Declaration Instructions to view the instructions. Submit and print the Confirmation Page for each gender. The meet program listing the athletes and relays in the top 24 plus ties that accepted will be posted after everything is reviewed. Check back after 12:00 Noon on Wednesday, May 8th! Coaches  if your athlete/relay has an FAT effort in a track event and their name does not appear on these lists, you should contact the Meet Manager and have the backup of the timing crew's file forwarded directly to baumspage at: submitjhstateresults. The final date of qualifying is May 6th and all marks must be submitted before 10:00 PM on Monday, May 6th. All running events must have been FAT results. Note: If the FAT system fails to get a valid time for a race, the failure must be noted when results are forwarded to support@baumspage.com. Only valid marks can be accepted! All field event marks must be certified by a registered OHSAA Track and Field Official. The official does not need to run the event but must verify that all marks earned are accurate. The OHSAA MIddle School ID Number must be used as the Hy-Tek Code when submitting results. The Hy-Tek Backup or Hy-Tek Compatible export file must be e-mailed to support@baumspage.com within 72 hours after the meet is finished. If an athlete/relay has a mark that will qualify for the Top 50 Performance List the Submission Process is dependent on the Timing Software used at the Meet. Meets using Hy-Tek Meet Manager will need to attach their final backup after all results have been verified. Backups should be e-mailed within 72 hours after the meet is finished. Click link for Hy-Tek Backup instructions. Meets using Easy Meet will need to attach a Hy-Tek Import File. Click link for Easy Meet Export instructions. Meets using RaceTab will need to attach a Hy-Tek Import File. Click link for RaceTab Export instructions. Meets using MeetPro will need to attach a Hy-Tek Import File. Click link for MeetPro Export instructions. Meets using TrackMate will need to attach a Hy-Tek Import File. Click link for TrackMate Export instructions. Meets using other software will need to contact support@baumspage.com for further information. Until a specific export process is defined, you may use an Excel Report Form. Seated results in the 100, 400, and Shot Put must be e-mailed directly to support@baumspage.com. See Seated Information for details. Submit to: SubmitJHStateResults as soon an possible after the meet is completed.